In construction, time is of the essence. 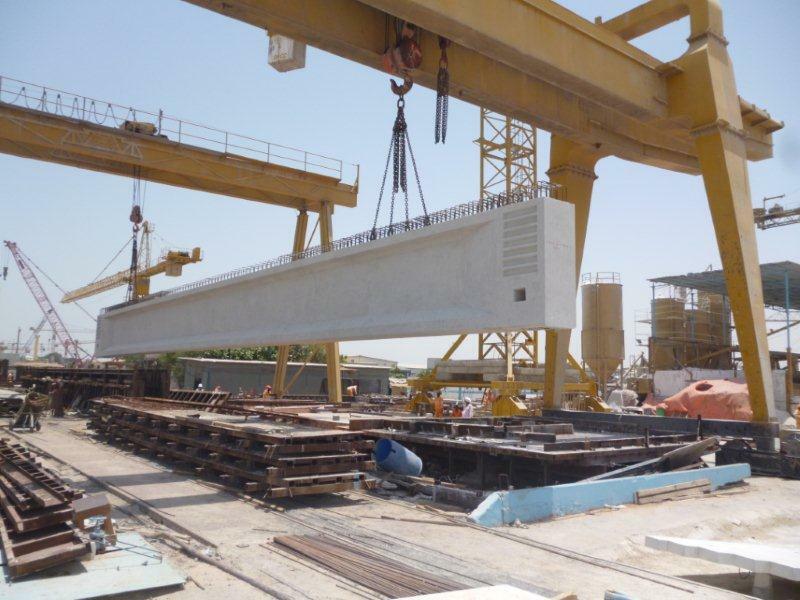 Starting from design, manufacturing and construction, a Precast solution offers considerable time saving, in addition to flexibility of design, neat construction site and reduced manpower usage. 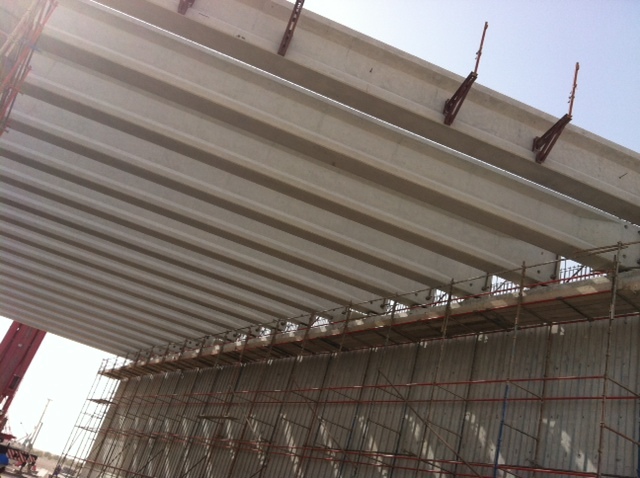 Precast beams and columns offer a perfect solution for fast track projects as well as for regular projects. Whether for a simple or complex structure, Precast beams and columns are flexible enough to suit all architectural and structural criteria. 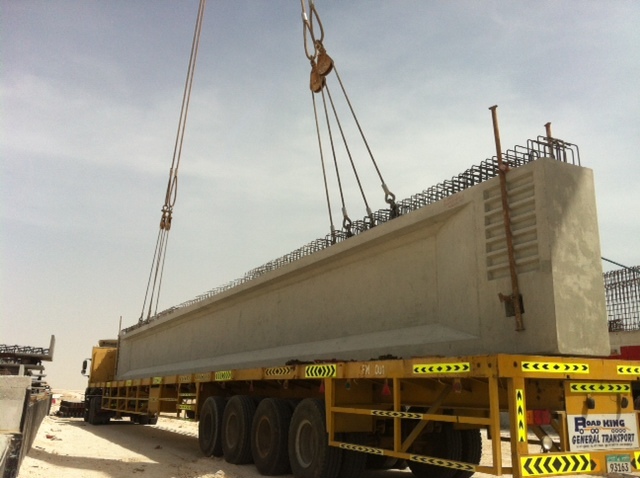 Gulf Precast offers an extremely wide range of technical options for Precast beams in both conventional and prestressed (pretentioned) concrete. 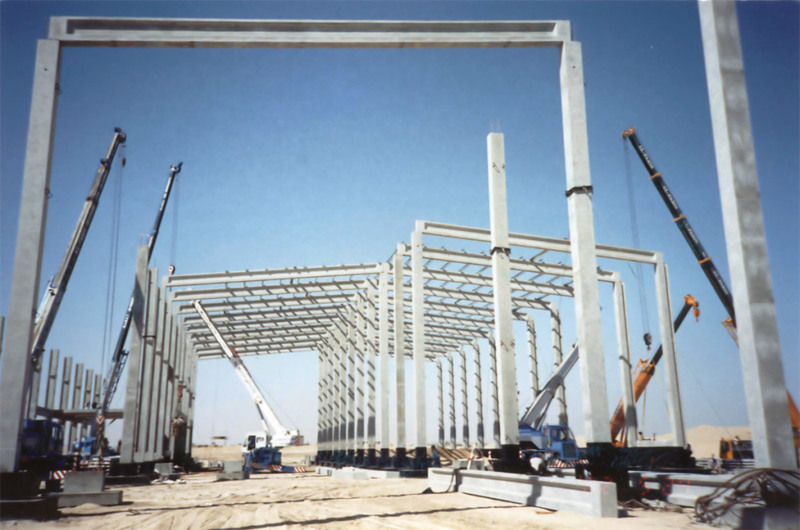 Standard sections include rectangular shapes, I girders, L sections, inverted T sections, box girders and any other shape designed for low rise and high rise buildings, car parks, bridges and many other structures. 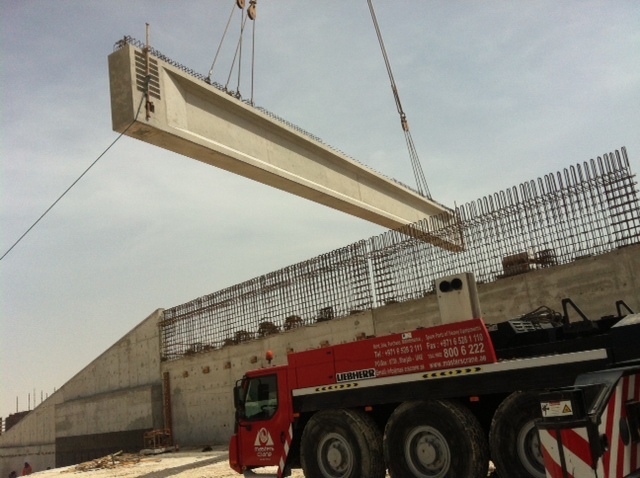 Gulf Precast Beams, in both conventional and prestressed concrete, are designed for optimum slenderness and economy. Also, wherever feasible, they are designed as a composite section by taking into account the concrete topping or screed of the slab on top. 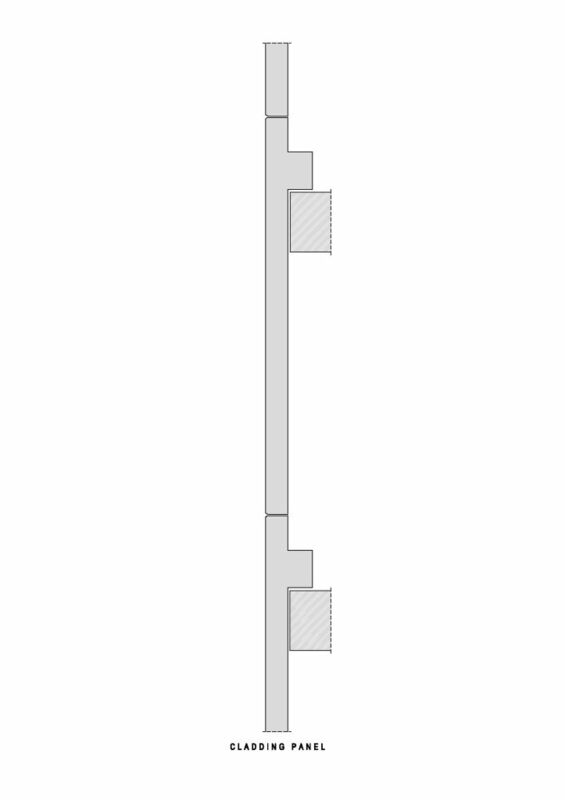 Connections are given optimum flexibility, whether conceived as hinged, semi-rigid or rigid. Gulf Precast manufactures columns in different shapes and for different needs, whether rectangular, circular or even irregular. 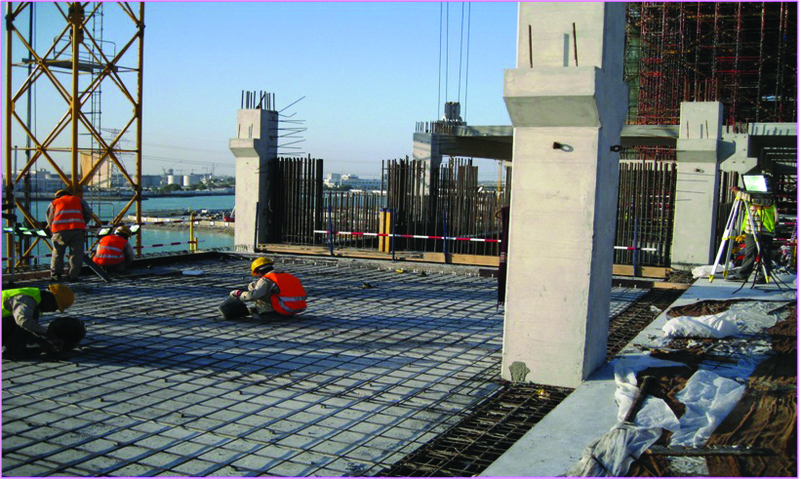 Precast columns can span vertically for up to 5 levels (18m height) in one run. They are elegant, easy to erect and reliable. Off-site manufacturing means stricter quality and safety control, and therefore results in better quality and more durable products. 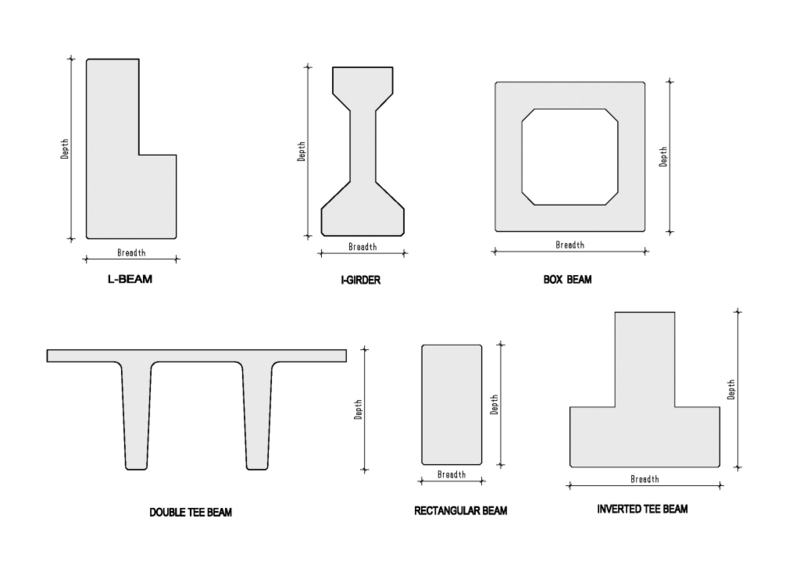 Long spans especially for prestressed beams. Less formwork, site clutter, propping and temporary works, which in turn leads to better site management, lower costs and increased safety. 1 – Multi-storey car parking garages. 2 – Large industrial buildings. 3 – Office buildings, schools, hospitals. 6 – Stadiums and Gymnasiums.